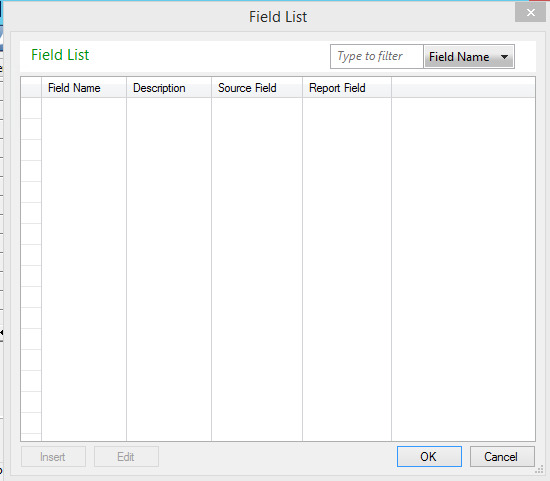 ​We have a custom report and when you load a template we get "Error in populating the array of fields. 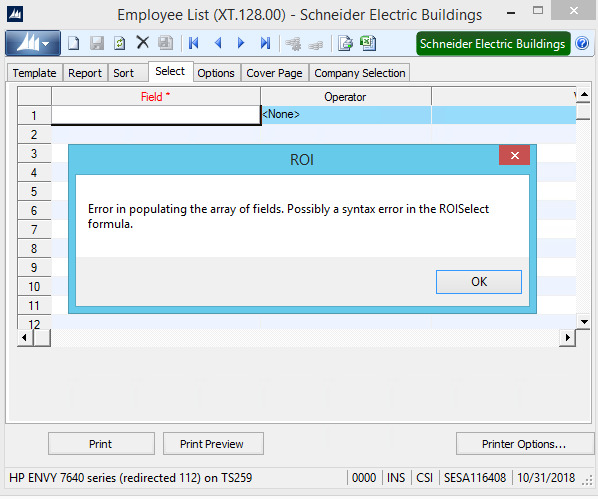 Possibly a syntax error in the ROISelect formula"
There is no ROISelect formula in the crystal report. 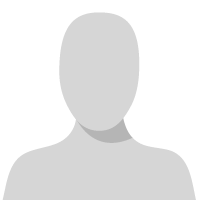 If we run the report without a template no error is received. The CmpnyName formula had nothing in it. Commented it out and it worked.